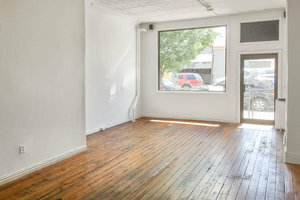 This is the newest gallery space in the burgeoning art scene of Bushwick. 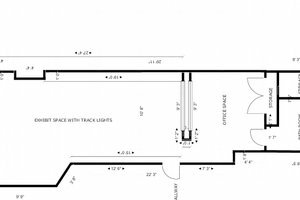 This space has been exceedingly successful in creating a space for a wide range of artist whose medium of work stretches from live multimedia performances to traditional oil painting. It is a great option for an Art Exhibition or Opening. The interiors here are simple and adaptable with rustic wooden floors, white walls and tin ceilings. With extensive facilities including furniture, internet as well as sound and video equipment, this space is well equipped for a variety of creative pop-ups. 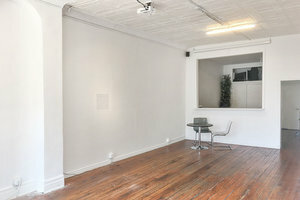 Working closely with the community of creative individuals in and around Bushwick as well as facilitating relationships with international artists through the gallery’s adjoining residence, this space provides an environment driven by the emergent artists it represents. 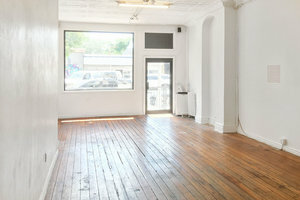 This professional gallery space is perfect for any events related to art and is easily accessible via subway.